Country Stoves and Sweeps are Gas safe gas fire installers and HETAS approved installers for woodburning/multi fuel stoves. 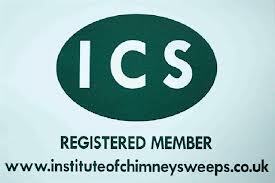 We are ICS qualified chimney sweeps covering Hertfordshire, Bedfordshire & Cambridgeshire. 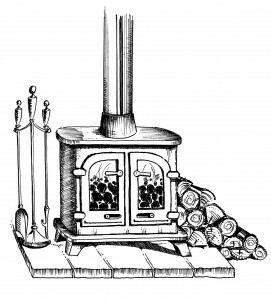 We offer a service from the initial idea and design phase through to the fitting and commissioning of your stove. 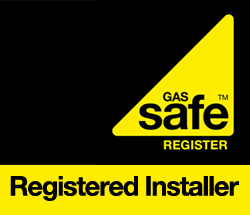 On going maintenance is also provided with our stove servicing and chimney sweep services. 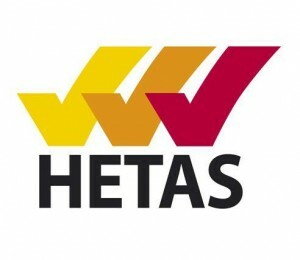 We are not linked with any stove/gas fire manufacturers so are able to offer impartial advice. 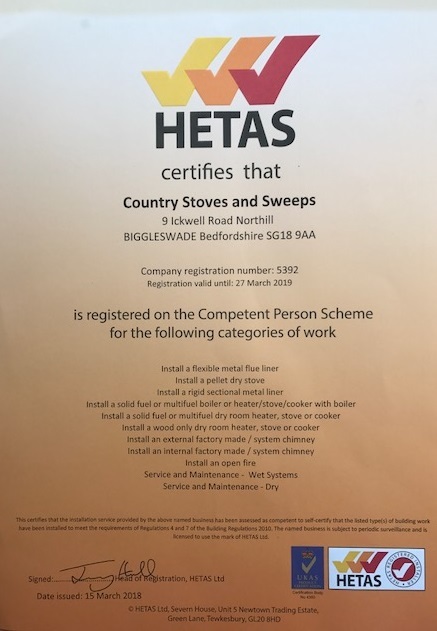 We are happy for you to purchase your own stove or we can source a stove for you, using our links with major suppliers including many local suppliers, we are able to offer the best prices for our customers. Our Business is based on simple principles, to offer high standards of service, good communication, honest, straight forward advice and competitive prices. Due to these fundamentals our business has grown over the years mainly from repeat clients and recommendations. We cover Bedfordshire, Hertfordshire, Cambridgeshire and Buckinghamshire offering a free, no obligation survey and advice with quotation.